I have an interesting relationship with Indian food. As a child, my mom (who is American and married an Indian man – my dad!) cooked it daily. I tired of it by the time when I was a teenager, but rediscovered my love of it a few years ago. 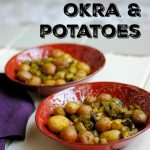 And while many of you might otherwise turn up your nose at okras, I’m pretty sure you’ll love ’em in todays new recipe: oven fried okra & potatoes. Otherwise known as bhindis, okra was a popular dish that we often had. As a kid, I gotta tell you – I didn’t love it. First, it was green. And next, they sometimes got soggy. But alas I grew to love green foods, and I also discovered that if you cook okras just right, like in this oven fried recipe, they lose the sogginess and actually get crispy. Combine this with those tantalizing Indian spices and you’ve got a dish that will have you rethinking this vegetable! I’ve had okras with onion, with tomatoes and also with potatoes. I like combining them with potatoes to create a filling dish that you can eat with lentils, chapatis or even aside some fish or chicken. While you can certainly clean and cut okras on your own, a friend turned me on to the frozen ones which are already precut and can be thrown directly into the oven as is. Talk about easy! I got these sheet pans a couple of years as a suggestion from a chef friend. They are extremely high quality and reasonable, too! Frozen okra. Whole Foods Market has them, but I’m sure you can get these elsewhere, too. They needn’t be thawed before incorporating them into the recipe. Avocado oil is my oil of choice for roasting because of it’s high smoke point. Do not use olive oil in this recipe as it’s smoke point is 350 degrees. Avocado oil is clean and does not taste like avocados! It’s wonderful to roast and cook with, and use in dressings, too. A tasty vegetarian sheet pan dish that includes Indian-inspired okra & potatoes. Preheat oven to 400 degrees F. Prepare a baking sheet by spraying with coconut oil, ghee spray, etc. In a small bowl, mix spices (turmeric, salt, cumin and coriander). 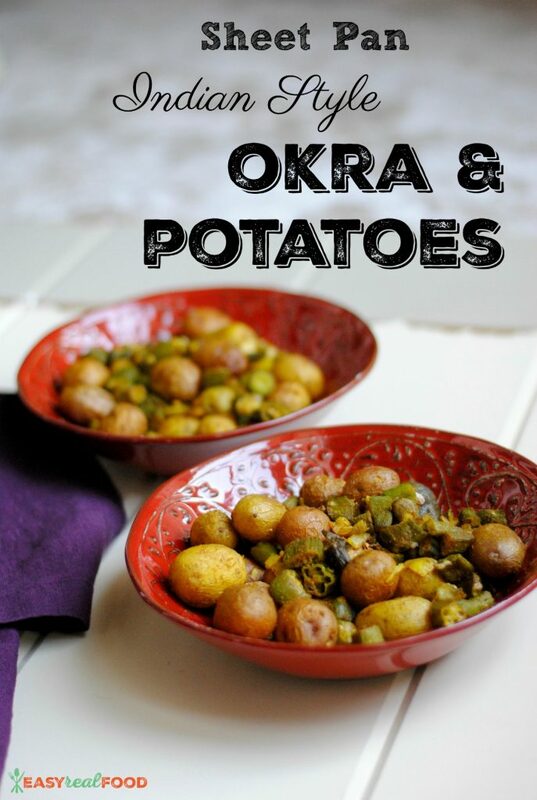 In a large bowl, combine onion, potatoes and okra. Add oil to vegetable mixture and mix to coat. Add spices and again mix to coat. Dump vegetables onto prepared baking sheet and spread out, making sure to not overcrowd. Bake for 60 minutes, stirring every 20. Do not worry if the okra seems sticky at first; this will dissipate! 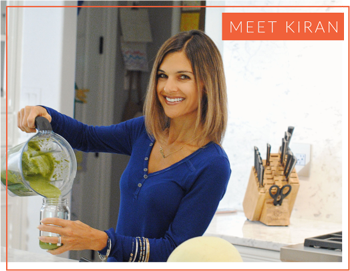 I’m on a mission to create more Indian recipes, so be on the lookout for them! In the meantime, saag is a great way to get in more greens and is super tasty, too. Let me know if you love this recipe as much as we do! Posts may contain affiliate links. Products purchased through an affiliate link have the same costs, but Easy Real Food will receive a small commission. This helps cover some of the costs for this site. We appreciate your support!